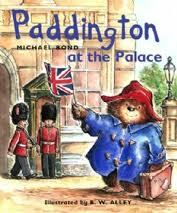 Paddington at the Palace by Michael Bond, illus R.W. It was a wonderful experience, even though it was nerve racking! A real privilege to be a apart of it.